What do you do when you’re dying to get away but only have a couple days to do so? Plan a staycation! Staycations can make the perfect couples’ weekend getaway and for those living in Southern California, Temecula is the ultimate staycation destination with plenty to see, do and eat. Temecula may not be a city you think of often (or at all! ), but this quiet southern California suburb is where rolling hills meet blue skies and civilizations have flocked to settle since the time of the Indians as far back as 900 A.D. This little city that you’ve probably never heard of is very likely So Cal’s best kept secret. 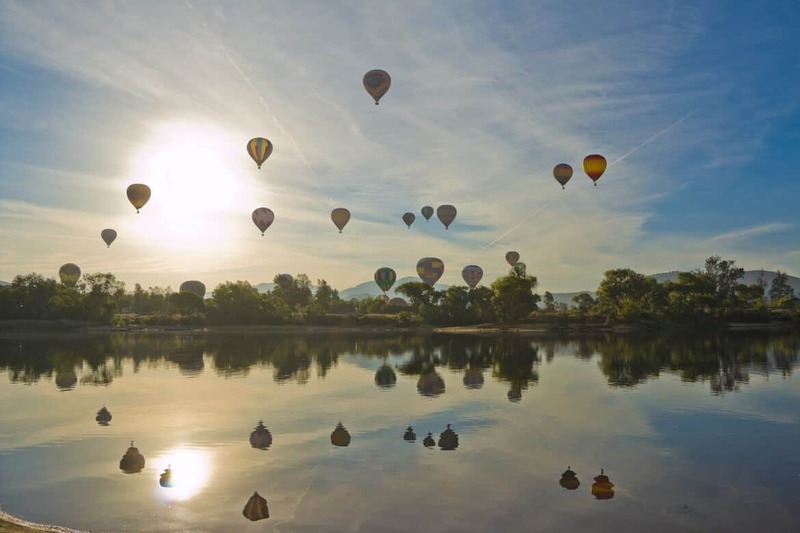 Rolling hills, wineries, romantic hot air balloon rides and more – Temecula has everything you need for a romantic staycation while avoiding the crowds at the beach or big-name cities. Choosing where to stay is probably the most important part of planning any staycation – after all, even though you’re close to home you still want to feel like you’re a world away, amiright? For our first visit to Temecula, we stayed at Four Diamond rated Pechanga Resort & Casino and we are so glad we did! It’s a fantastic choice if you’re looking to receive first class service and make your Southern California staycation a truly relaxing and indulgent experience. They have several deluxe room and suite options, including a spa studio with a spa tub for two – perfect for a romantic getaway for two! Our one bedroom suite was super luxurious, complete with a kitchenette, dining area, spacious living room with fireplace, a work area and desk. I actually think the accommodations were bigger than our own home – lol! 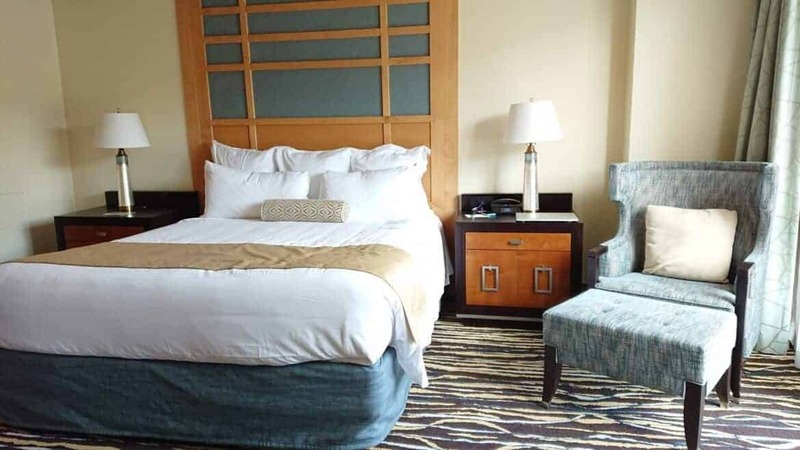 With twelve dining options and a plethora of entertainment choices right on site, we loved that our staycation at Pechanga allowed us to literally stay put – parking our car on Friday and not needing it again until Sunday. We had two full days of delicious eats and fun activities without having to “run around town” – now that’s what I’m talking about! The only part we were a little disappointed with was the pool area. It is currently quite small (you can see it in the above picture just in front of the beige building with little white cabanas around it), but good news is they are currently undergoing a HUGE $285 million dollar renovation (the lower portion of this photo, along with the glass windowed buildings) that will add a new hotel wing, a new 2-story luxury spa, 70,000 sq. ft. of additional ballroom and meeting space , an outdoor activity area and resort-style pool complex, as well as 2 new food and beverage outlets. Plans are to be finished by the end of 2017 and I absolutely can not wait to visit again once it’s done. With several more pools being added, it’s likely to become one of our favorite family or group getaway destinations! 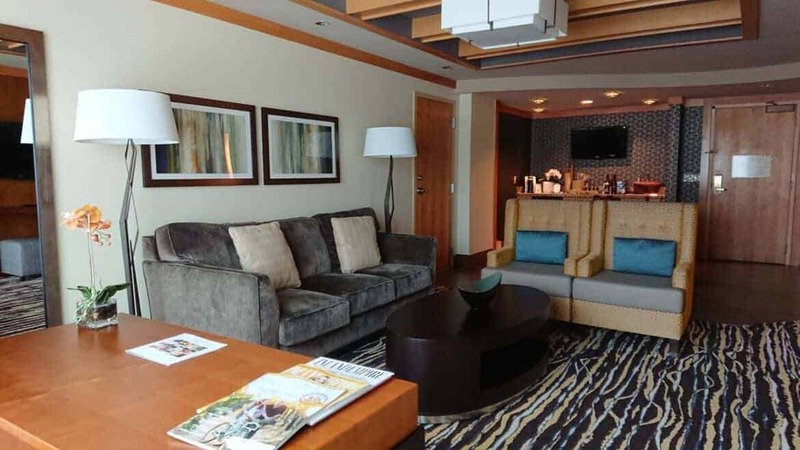 If you’re staying at Pechanga Resort & Casino, you’re in luck because you honestly need not ever leave the property in order to take in some absolutely stellar food options. I’ve stayed, played and eaten at plenty of Casinos in my day, and to be honest, I was fully prepared for meals that ranged from mediocre to “that was ok”. We tried three of the 12 restaurants on site and were completely blown away by all of them! Seriously, some of the best food I’ve ever eaten while traveling – delicious would be an understatement. If I lived in the area, I’d be a casino regular just because of the food! We started our weekend off with our favorite type of food – Sushi. I’m known to be a bit of a sushi snob due to the incredible options we have here in Southern California, so I was truly expecting to be, well, unimpressed. I mean, come on, a high end Sushi establishment in the middle of a casino? Please. This meal was easily our favorite of the weekend, and quite possibly all year. We made a few selections from the menu, but the real treat was that Chef Kiyo, who has been a chef since he was 10 years old, prepared a few off-menu delights from scratch which really showcased his abilities. We loved that he presented us with some amazing traditional Japanese edibles that he just happened to whip up in the back based on his current mood. AMAZING. Unfortunately I’m unable to recommend any of those items since they can’t really be ordered, but from the menu you’ll definitely want to try the Beef Skewers, Poke Tacos, Seared Miso Anticuchos Cilena Sea Bass and Robata Street Corn. I absolutely love open kitchens, especially in Italian restaurants. It reminds me of my trip to Tuscany, much of my time spent seated around a large family table set in an open kitchen with a wood burning stove, laughing with friends and enjoying delicious food and wine. Even though I knew I was still in a casino resort in southern California, if I closed my eyes, the smells and sounds were very much Italian. 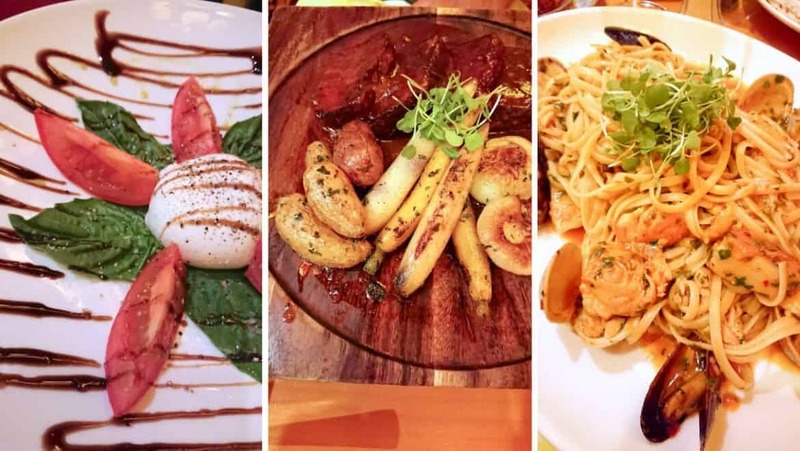 We had a lovely meal starting with our go-to Caprese Salad and Calamari Fritti, followed by Linguini Ai Frutti di Mare and Beef Medallions of Tenderloin for our main courses. I’m positive the staff are still talking about those two crazies who licked their plates with reckless abandon and no regard for etiquette. Let’s be honest, I’d do it again too…but with more wine. If Asian food makes you giddy like it does me, you can’t go wrong with Bamboo. A fabulous mixture of all that is good in the world, there are more menu choices than you can shake a stick at. 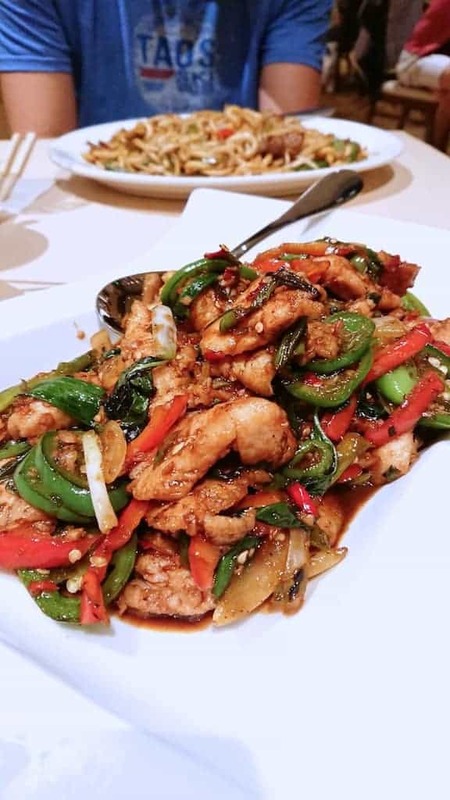 This low key restaurant features an eclectic mix of Chinese, Japanese, Vietnamese, Korean and Thai dishes. The prices are very reasonable and I’d eat here once a day, every day if I could! Although we didn’t get a chance to personally try this establishment (next time! 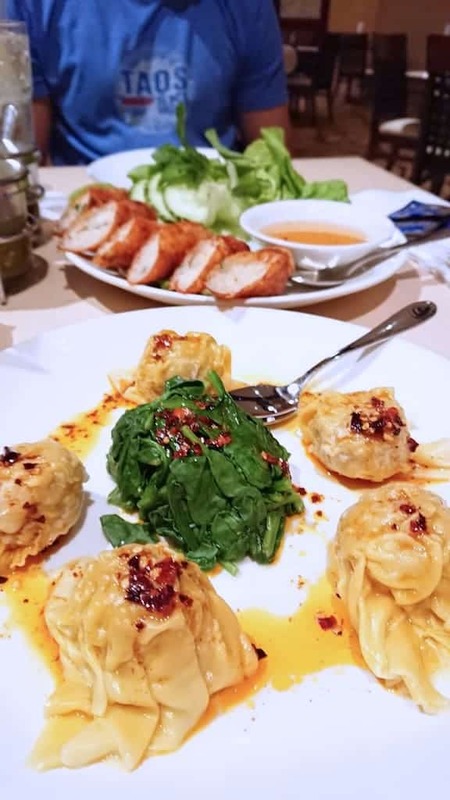 ), this semi-formal restaurant also inside Pechanga Resort Casino has been recognized by both the Wine Enthusiast and Wine Spectactor magazine. A AAA Four Diamond Award winner known for its 100% Prime Black Angus Beef, I’m salivating just looking at the menu. This is one of the favorite local eateries in town, serving up what townies consider the best pizza and salad. They have a strong belief that food is not just nourishment but an expression of love and create all of their dishes, including pizza, bread and sauce from scratch each morning. They have a stone hearth oven, making their pizza truly unforgettable. It’s wine country so of course going on a wine tour is a must! Even if spending the day with a bunch of strangers isn’t high on your list of fun things to do, I promise by the end of it you’ll be singing and laughing with your 17 new besties on the bus, or drawing mustaches on the people that passed out, I’ll let you decide which. Either way it’s better than driving yourself – and safer! Temecula Wineries were actually put on the map by golf legend, Ely Callaway Jr. Growing up, his family was involved in the textile business, but a chance meeting late in life with viticulturist Jon Moramarco led Callaway to Temecula. He believed it was the perfect spot to grow his vines, and by the 1970s, his winery was in bloom. Temecula is home to over fifty wineries, ranging from large and elegant to intimate mom and pop stands, making it a veritable wine lover’s paradise. 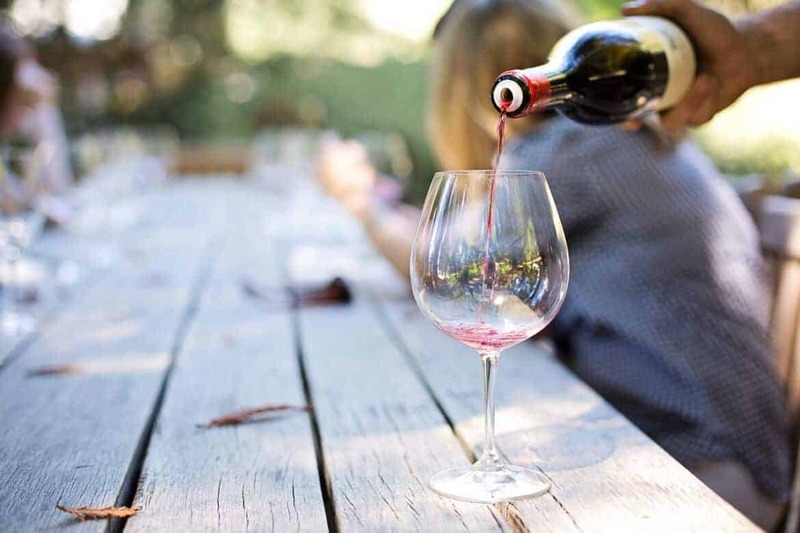 With so many wineries in the area, the best thing to do is leave your day up to a guide on a wine tour so all you have to worry about doing is using all your wine tasting tickets (harder than it sounds!) and making it back on the bus in time. Imagine exploring the area and indulging in a good number of the hundreds of wines made in the valley while relaxing and being chauffeured from one tasting to the next. We went with the Vineyard Picnic Tour offered by Grapeline Wine Tours. They picked us up at Pechanga and then took us to 4 wineries, all with their own unique personalities, providing a fun glimpse into the wine culture of Temecula. We enjoyed a tasty boxed lunch at the third winery and many of the guests took advantage of the purchase discounts we received at all the locations for being part of the group. Get a feel of what Western-era Southern California may have felt like by taking an afternoon or evening stroll through Old Town Temecula. The wooden boardwalks are lined with Western-era buildings, shops, and restaurants so it’s the perfect place to buy a staycation souvenir, catch some local live music or just practice saying yee-haw to strangers. There’s no better time to treat yourself than on a staycation. Looking to book a couples massage? Pechanga couples treatments are designed to provide you and your partner a luxuriously relaxing experience. Their couples suite features a two person rain shower, a jacuzzi tub for two and an intimate dining area. We were delighted to find chilled champagne and chocolate truffles waiting for us before our 50 minute couples massage session. There really is no better way to start off a romantic staycation than by spending a few hours really, truly relaxing with your loved one. Experience the beauty of Temecula on horseback with one of the many horseback riding tours in the area. Most of the tours include a ride through a vineyard, offering another unique perspective of Temecula’s wine culture. I’m referring to golf, of course! 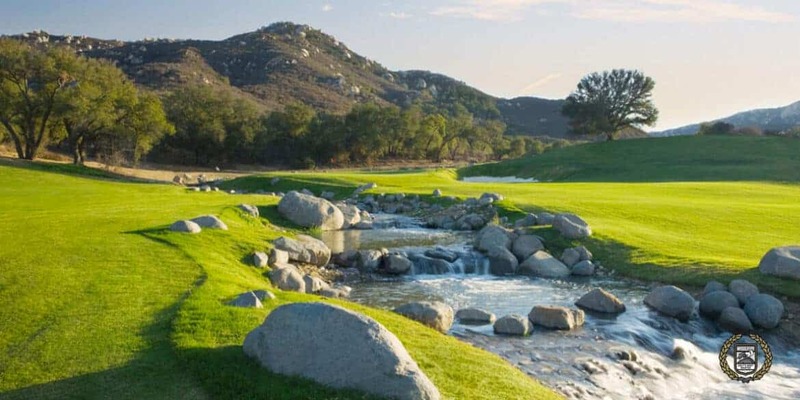 Golfing is a very popular pastime in Temecula, so there are many scenic and well-maintained courses for visitors to choose from. 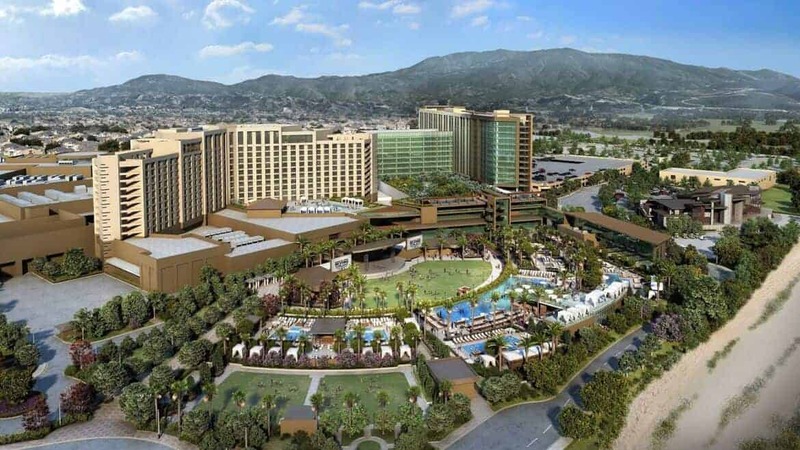 Remember how I said you don’t have to leave Pechanga Resort to get your fill of activities? Well their world class golf course Journey, is literally right across the street and gives you an award winning 72-par 18-hole golf course with stunning terrain. Ready to take a break from all the wine tasting? No worries (although I’m not sure we can be friends if you ever really thought this.) Temecula may be known for its wineries but there’s a budding beer scene as well. Stop by one or a few breweries to try a few samples – some even offer tours! Our very first date was to a Comedy Club and it’s still one of our favorite things to do. We’ve never purposely gone to see any big name acts (although Tosh.O surprised everyone and jumped on stage once!) but always have a roaring good time anyway. Pechanga has a comedy club that hosts some of the biggest names in laughter, as well as new and upcoming people you may not have heard of. If you’re looking to brighten up a rough week, I can’t think of a better way than by spending a couple hours laughing and poking fun of someone else. History is an important part of Temecula but even if you’re local, you may not be too familiar with the history of the valley. In the early days of this quiet settlement, missions eventually swept the area and christianized the Indians. 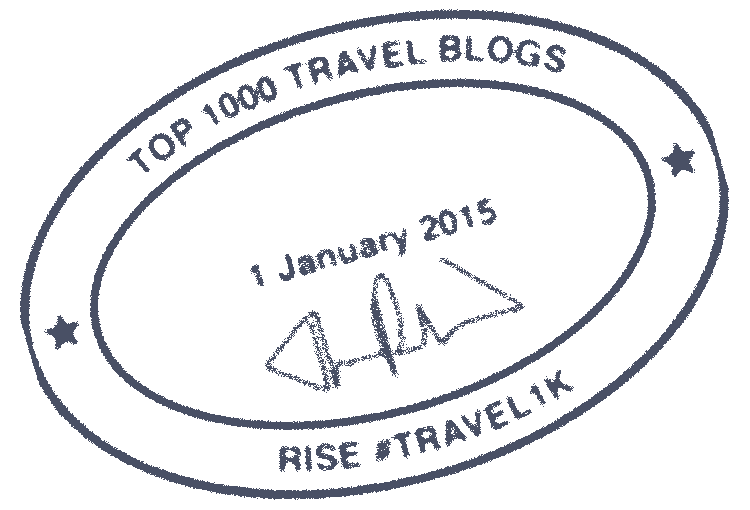 With the missions came new waves of settlements and settlers. Temecula rose and fell with the times and was often subjected to the chaos of the Wild West. It had outlaws, warring parties, stagecoach robberies, and one of the greatest Californian manhunts. The nearby canyon is a historical place where a massacre between the Mexicans and Temeculans occurred, and the Temeculans were buried in a mass grave that is still visible from Highway 79. The Temecula Valley Museum has permanent and rotating exhibitions that introduce visitors to the history of Temecula and surrounding areas. Is there a more romantic start to the day than a sunrise hot air balloon ride over the stunning Temecula Valley? This is one of the most popular attractions in Temecula and since we generally have perfect weather all the time in Southern California, flights are available year-round. Rides are approximately 1 hour long and give visitors a view of the true beauty that is the Temecula Valley. *Note* be prepared to wake up to meet at an ungodly hour of the morning to start your adventure, but it’s well worth it! The weekly Farmer’s Market, full of artists, farmers, and the occasional restaurant pop-up, is one of Temecula’s biggest events. It is held every Saturday in Old Town Temecula. The Lake Skinner Nature Reserve is located just outside of Temecula and makes the perfect place to spending a relaxing afternoon or spend some active time outdoors. The reserve offers running and equestrian trails, boating, hiking, fishing, and many other outdoor activities, as well as a park area to just relax and breathe in the fresh air. Thank you to Pechanga Casino Resort for hosting our visit to Temecula. All opinions are still mine, all mine. I didn’t know there’s a lot to check out in Temecula. Will try to visit one of these places when I come around! I’m not sure if we’ve been to Temecula before, but it sounds like a great place to visit. Staying at the casino for us is always a lot of fun. Oh my gosh that food though!! So many great photos, I am definitely living vicariously through the post. We’ve watched the hot air balloons go up but have never ridden in one. Not sure I would now, but years ago I’d have gone up. A spa day sounds about nice! I think this place is perfect and I would love to experience what it has to offer. The food is just WOW! I would love to take the kids here! There’s so much in store for the whole family and being able to just go sight seeing in a hot air balloon is a winner right there!